Desktop Repair Leyland computer Services. Desktop Repair Leyland – We give a full service and well as specialising in laptop repair we also offer a Desktop Repair Leyland service that offers competitive rates for repair on any branded or unbranded Desktop Computer. We are proud to provide an quick but accurate diagnosis, based on the diagnostic. We give our customers the best economically and feasible options available. Our Standard of service and quick turnaround is quicker than most of our competitors, and our Express Service that we have will have you up and running within hours. We like to give a no pressure and a stress free experience, and we’ll make sure to keep you informed of the progress of your desktop computer repair. We can help with general repairs cleaning components and software installing and upgrades. Power Supply (P.S.U) Testing and/or Replacement. Hard Drive Data Recovery, Hard Drive Data Transfer, Hard Drive Repair/Replacement. Virus removal, Spyware removal, Trojan removal, Worms/Ad-ware Removal. Windows/Apple/Linux Operating System Repair/Re installation. Memory modules (RAM) Upgrades or Replacements. 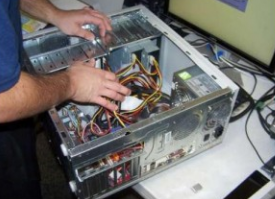 Before we start getting out screwdrivers or start any desktop repair work, we make sure that your desktop computer is thoroughly checked. Included in this is a complete system hardware check, this is done to make sure the problems are not caused by failing components within the system. After we have run an initial hardware test, we’ll then start working on the desktop computer, this may include replacement of worn/damaged parts with newer ones, solving software problems or operating system problems. For testing 24-pin and 20-pin power supply’s, 4/8-pin connectors, P.C.I-E power adapter, H.D.D connector, S.A.T.A connector, F.D.D connector. Dimensions 89 x 63.7 x 17.5 mm. Light weight and pocket size. Auto warning, L.E.D that shows each output voltage. Use in standard A.T.X power supplies. This power supply tester allows you to check the power from your 20pin or 24pin motherboard, 8pin, 6pin, 4pin and S.A.T.A connections. L.E.D indicators let you know if power is being supplied on each voltage rail, and a master L.E.D informs you of the overall result. With the power supply being one of the most important parts of a computer, you cannot afford to install a damaged or defective unit. Corrupted data, blue screens of death, and even severe system damage can result from incorrect power being supplied to your computer. Desktop Repair Leyland, is based in Leyland , we offer a call out service , and also an in house service call today on 01772 304704.